I am a very friendly, organised, reliable and hard working person ready to make your dog feel like new. I enjoy providing my customers with a top quality service in my area with all the knowledge and skills I have with Dog Grooming. 131 546 or request a free quote online to arrange for a Angela to get in touch with you. 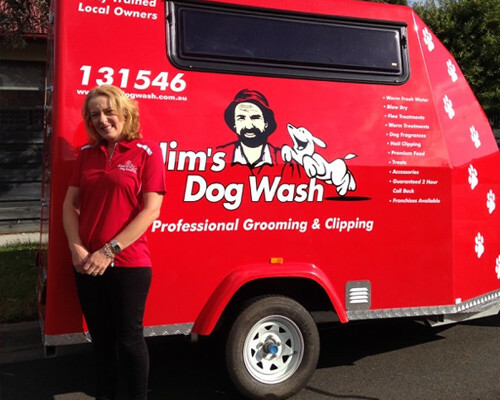 We wash dog at your home or office, a place your dog knows and is comfortable in.